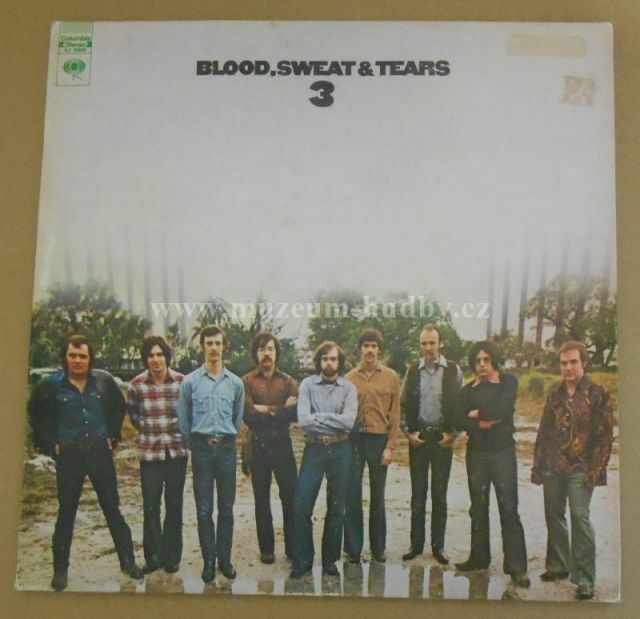 "Blood, Sweat & Tears 3" is the 3rd full-length studio album by US rock act Blood, Sweat & Tears. 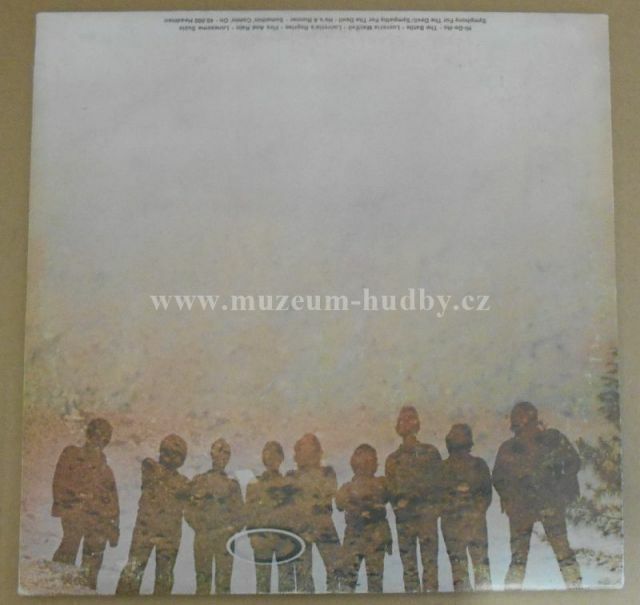 The album was released through Columbia Records in June 1970 only six months after the release of their sophomore album in December 1969. It was another commercial success for the band, even though it didn´t reach the same extremely high number of sold copies that the predecessor did. Like the case was on the predecessor, a large bulk of the material on "Blood, Sweat & Tears 3" are re-arranged cover tunes, and very little is original material. Blood, Sweat & Tears manage to put their own spin on the tracks though and you are never in doubt which artist it is you are listening to. The band´s trademark brass rock sound is intact and you´ll also be treated to musicial elements from soul, r´n´b, jazz and classical music. Compared to it´s predecessor, "Blood, Sweat & Tears 3" is slightly more r´n´b influenced and a little less jazz rock tinged. The playing are still quite adventurous though and as always the musicianship are on a high level. Tight playing, a rare attention to detail and a lead vocalist in David Clayton-Thomas who has a strong and relatively raw voice and a convincing delivery. The whole thing is packed in a professional and organic sound production, which suits the material well and while not all tracks are equally challenging (the 7:49 minutes long "Symphony for the Devil/Sympathy for the Devil" stands out a bit because of it´s semi-progressive structure), they are all catchy and memorable. All in all "Blood, Sweat & Tears 3" is a strong release by Blood, Sweat & Tears and while it doesn´t quite reach the heights of it´s direct predecessor a 3.5 star (70%) rating is still deserved. I haven't always liked "Hi-De-Ho." I have heard three or four versions of the song, and while I knew the Blood, Sweat & Tears version was the most famous, it may have been the reason why I thought I was not going to like BS&T. More recently I have grown to like the song very much, though I am not sure if the BS&T performance equals the original version by The City. Anyway, it is a classic opening for the album, despite being a cover. "You've Made Me So Very Happy" was a cover too, but "Spinning Wheel" was a BS&T original. Once again, "Lucretia MacEvil" is an original as well, but whereas "Hi-De-Ho" equals "You've Made Me...", "MacEvil" is not even close to the quality of "Spinning Wheel." It is all right, but not a classic. Similarly, "The Battle" is an OK original, but definitely not worth "Sometimes in Winter" on the previous album. Well, at least "Lucretia's Reprise" is a more pleasant original jam than "Blues – Part II." Blood, Sweat & Tears was a great album. It is evident that Blood, Sweat & Tears 3 does not equal it, but this doesn't make it any bad, even though most of the album is filled with covers (just as was the case with the preceding album) and those are not extremely awesome. "Symphony for the Devil / Sympathy for the Devil" tries hard but sounds artsy-fartsy even in my ears (that must say something). Laura Nyro's "He's a Runner" sounds better, but only in comparison, while "Somethin' Comin' On", originally by Joe Cocker, might be a smash if it wasn't half filled with relatively average jazz & blues jamming. However, it remains one of the best numbers along with the James Taylor cover "Fire and Rain", which in my opinion sounds much better than the original. The rest is less essential. Not Blood, Sweat & Tears at their very best, but somehow this still pleases me more than the band's often appreciated Al Kooper-guided debut. Nice jazz arrangements on The Stones 'Sympathy for the Devil' and Traffic's '40,000 Headman'. Other highlights are the hit singles 'Hi-De-Ho' and David Clayton-Thomas 'Lucretia Mac Evil' as well as the James Taylor cover 'Fire and Rain' and The Band's 'Lonesome Suzie'. It's music from the 70's that use elements of jazz and rock, lead singer David Clayton Thomas has an amazing voice, and can do a lot with the lyrics. A great mix of amazingly talented artists.